News from the front desk Issue No 416: Young people from schools all over Australia went out on strike to protest the lack of action on climate change last Friday. They were belittled by politicians. The Coca-Cola company is taking them way more seriously. A consumer company that you expect to be right in tune with young people and their consumer preferences and social inclinations is Coke. Today (Thursday) a public relations outfit called us to say Coke was teaming with Jeff Angel’s crusade on container deposit schemes to extend it to music and other festivals that attract young people. Now the fight for the container deposit scheme is one of the most fierce environmental campaigns of all time, one that took on the behemoth of Coca-Cola Amatil, furiously defending its turf with claims the program would damage its business. (It did but not necessarily in the way it thought). And now here he was partnering with the people he fought so hard to overcome. “Well,” we said to the public relations person on the phone, “blow me over with a feather. Coke, teaming with Jeff Angel? The same company that fought black and blue to stop container deposit programs? The same company that spent millions (possibly more) to do so all around the world? The company that in the US preferred to fund a Keep America Beautiful campaign to help clean up the beaches and the rivers instead of stopping the pollution at source? As a way, the more cynical among us might think, to obfuscate the problem and look like a goody two-shoes at the same time.” And so on. Yep, same company, came the reply. Well this was interesting we thought, and picked up the phone to call Jeff Angel to confirm: how/why did this happen? It’s pretty much taken Angel since 1974 to win the battle; starting with a report on the issue he did for the Total Environment Centre of which he’s now executive director and Choice, at around the time bottling companies first started to phase out recycling. One by one, most of our states and territories adopted the scheme. It’s hard to believe the numbers but we checked several times: NSW this week announced 1 billion containers returned since the scheme started in December last year and Queensland said that in the first four weeks of its container return scheme 50 million containers were recycled. It’s a big win for Angel. Essentially Angel’s particular campaign, called CitizenBlue, in partnership with a range of outfits including Surfrider Foundation, Landcare NSW – and now Coke – aims to recycle the many bottles consumed at music and other festivals where Coke has a strong presence with young people. The proceeds go to charities. “One of the major gaps in the container deposit scheme is recycling from events and of course Coke’s association with major music events was an opportunity,” Angel told us. So what was the motivation for Coke? Angel was typically diplomatic and suggested we ask direct which, of course, was on our agenda. He supposed Coca-Cola is, in the end, is pragmatic. It could see the writing on the wall. It could see governments switching sides. And we know that if governments switch sides, it’s not because they are leading but because they are following the crowd, and the voters. Coke is doing the same. 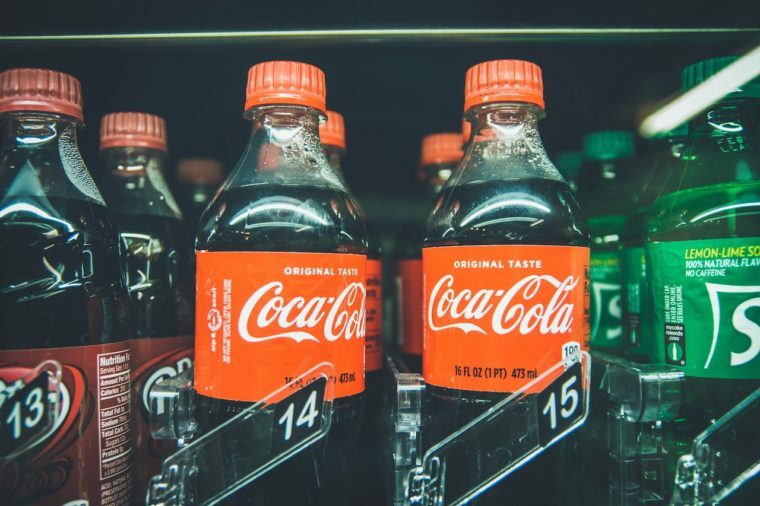 Director of public affairs and sustainability at Coca-Cola Amatil South Pacific, Christine Black, told The Fifth Estate that CitzenBlue was a “really important initiative” and she was keen to point out that in South Australia the container deposit scheme had been operating for 40 years. But she was gracious enough to concede there’d been a “chequered history” for the company and that the rolling out of the scheme had not been “as smooth and collegiate” as it could have been. But hey, if Jeff Angel can move on, so can we. Black said a big switch had taken place for the company. And this confirmed that a large advertisement we’d spotted some weeks ago in a newspaper was not a mirage: it proclaimed that Coke was “listening” and reducing its sugar quantities in its drinks. There was a new strategy, she said, built on recognising that as a leader in business and the community there was a responsibility to stand up for challenges such as waste reduction and sugar reduction. “Equivalent because it’s hard to know whether it was your company or someone else’s that produced some of the containers on beaches and waterways. Moreover, it was to also move to 100 per cent recycled content in newly produced containers by the same time. Currently, it’s at 24 per cent. The move to reduce waste and move towards a better consumer product, included the messaging that carbohydrates are best taken in “moderation”. Sugar had been reduced by 20-25 per cent in some drinks and 100 per cent in others, with the sweetness replaced by zero calorie Stevia. The impact of sugar substitutes are not fully understood and according to our dietetics brains trust the science is still out. Though some people think that fake sugar interferes with our body’s healthy functioning (and fat producing propensity) by confusing the brain, sending it signals that it’s about to get an exciting sugar hit, but then delivering nothing. Coke has gone further than sugar reduction, recently buying a South Australian kombucha (fermented drink) company that many consider is a healthy drink. The signal is clear, Coke wants to be a better corporate citizen and this means looking ahead to coming consumer and community trends. Black was unable to say whether the container deposit scheme had the negative financial impact that was feared when the company opposed the recycling program but it was starting to think how to respond to changing and more highly sensitised consumers. Taxes on virgin resin could be one area to pre-empt, she suggested. It’s about “getting ahead of the curve”. According to UK based Marketing Week Coke isn’t alone in developing highly sensitised antenna. Other brands have been taking aboard a consumer backlash to plastic and waste, thanks in part to David Attenborough’s BBC documentary Blue Planet II in the case of Britain and the ABC’s War on Waste in Australia. “Consumers’ perceptions of single-use plastics shifted as a result. Some 44 per cent of consumers say they have recently become more concerned about single-use plastics and another 70 per cent plan to change their behaviour in some way in response,” the magazine said. “The urgency to help spark change is so strong that brands big and small have been scrambling to help join the fight against the war on waste, and take advantage of the opportunity. More brands are taking similar action, it says. See Fighting the war on plastic waste: The brands trying to break our plastic addiction. These include coffee chains such as Costa, Starbucks and Pret A Manger encouraging reusable cups and others banishing plastic straws. For Jeff Angel the bottom line is that “plastic won’t disappear”. There are three strategies to deal with this, he says. One is to avoid it. Another is to recycle it and the container deposit scheme is proving highly effective for that.